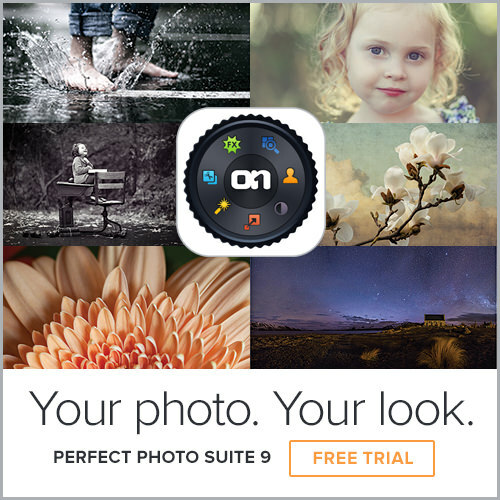 onOne Software has released Perfect Photo Suite 9 which contains a large list of new features. The biggest features include the following. Fast Preview mode. Extracts jpg previews from Raw files for really fast previewing. This is on by default. You may see a difference in color and brightness between Browse and other modules for raw files, especially on Windows. If the embedded jpg preview in your raw files is small, you may see a warning icon in the footer in Image View. Pressing this will generate a full-sized preview. Ratings, Labels and Likes: You can now rate, label and “like” images. ratings and labels are stored in the metadata so they will transfer to other applications like Lightroom. Rotate: You can no rotate images in Browse. This is supported for images that use the EXIF metadata rotation flag, so not PNG or PSD. Metadata Pane: The new metadata pane allows you to view and edit EXIF and IPTC metadata. All metadata changes are stored as xmp sidecar files until you either embed the metadata, edit the image or use the Send to command. Filter Pane: The new filter pane allows you to filter (search inside) the contents of a folder. This is useful for finding just your five-star images for example. Batch Rename: Accessed from the contextual menu. You can batch rename files or folders. Sources Pane: The Sources and Folders panes have been merged together. This makes it easier to drag and drop across volumes. Favorites Pane: The favorites feature of the Folders pane has been split out into its own pane. Favorites are shortcuts to places where you keep your images. Send To: From Browse you can now send images to other applications. Photoshop, Lightroom and Aperture are automatically detected and added. You can also add as many of your own apps as you want. Print: You can now batch print directly from Browse. This is accessed in the File menu or the contextual menu. Save As: You can now save out copies directly from Browse in any supported file format. This works for one image at a time, if you want to do multiple images, use Batch instead. Smart Photos are a special PSD format that allows you to save your settings and masks from each module that you use so you can go back and re-edit them later. To create a Smart Photo, select the Smart Photo checkbox in the Edit What dialog when you open an image. You can also convert a layer in Layers to a Smart Layer, which converts the image to a Smart Photo. To re-edit a Smart Photo, double click on the module entry in the Smart Photo History pane in Browse or the Layers pane in Layers or just click on the module in the module selector. The best tools from Perfect Mask have been merged into the Suite in general. You can now access all the masking tools in Layers and Effects directly. These are big changes and you can now get better masks than before, in the place where you want to work with them, especially for selectively applying filters in Effects. Here is a rundown on the masking tools. Blur and Chisel Tools: The Blur and Chisel tools have both been migrated from Perfect Mask. They are used to refine the edge of the mask. Perfect Mask has been retired. For Mac users with Retina displays the preview area and all artwork are now drawn at 2x quality. This will be coming soon for Windows 8.1 users as well. You can now do basic printing from any module, including Resize and Browse. Access Print from the File menu. You can select the printer settings and paper size as well as control how the image will fit on the paper and the color management options. There is a new auto tone algorithm that replaces the old auto levels. In the past it just set the the white and black points. Now it sets these as well as adjusts the brightness, contrast, shadows and highlights. Image processing performance has been increased. Using more OpenGL and OpenCL as well as more optimized use of multiple processor cores. There is a new noise reduction filter in Enhance and Effects. There is a new lens flare filter in Effects. The crop tool has been modernized. It now moves the image inside of the crop box instead of the other way around. It also has leveling tool. There are new crop aspect ratio presets as well as document size presets that allow you to crop and resize at the same time. This is in Layers, Enhance and Resize. Updated support for many new camera Raw files. There are still a bunch that were announced at Photokina that it will add support for in the future. Keep in mind it will use the Mac OS for raw processing on the Mac so it updates itself automatically. Quality improvements to the Perfect Eraser. Updated user interface: It has moved to a more modern look with less shadows, borders, gradients, etc. 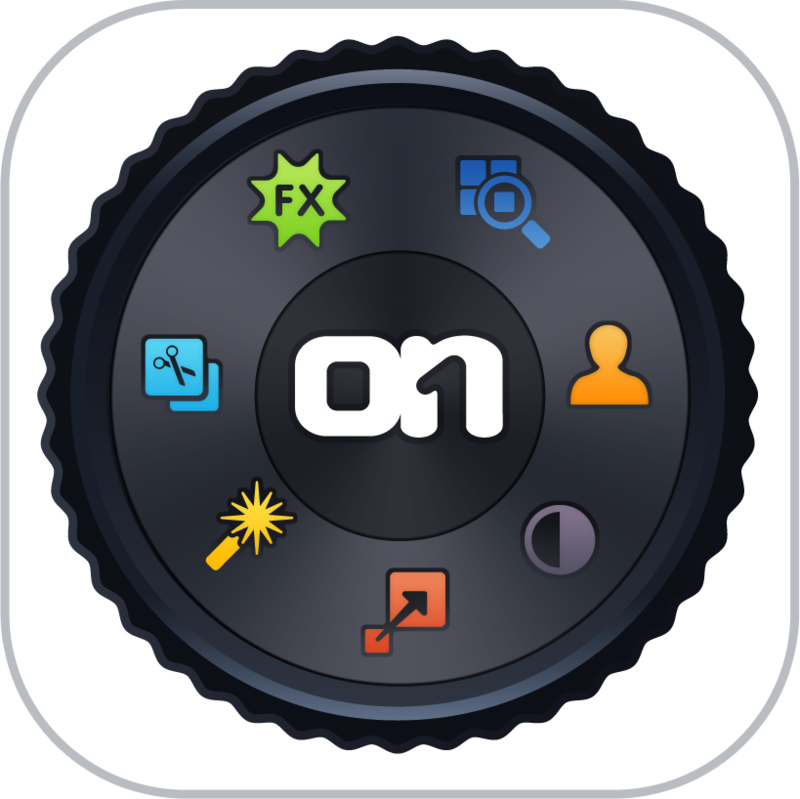 Start in Quick View Browser: On a fresh installation, when you open Effects, Enhance, B&W or Portrait it will start with the Quick View Browser open, showing the new onOne Favorites category. This is designed to help new users get started easier. It can be turned off in the footer of the Quick View Browser window. Language preference: You can now control the language of the user interface in the preferences. So as you can see, Perfect Photo Suite 9 has a huge list of improvements since version 8 of the suite. If you are interested in updating or don’t have a copy of 8 yet, please check out version 9 today.